It’s been tricky finding time to blog lately. Ironically, that’s because I’ve been so busy cooking and gardening and writing fiction. 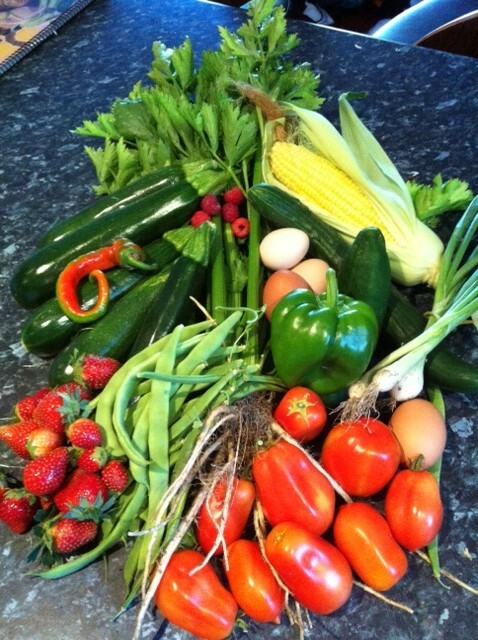 March was always going to be a bit of a time-buster for me – it’s tomato season where I live and wow, have I got tomatoes. This weekend alone I turned 9kg of Romas into a delicious salsa my kids won’t leave alone. Nachos are the new vegemite toast right now. I’ll post that recipe soon, along with the most incredible zucchini and corn relish that I recently discovered, pickled gherkins a couple of different ways, tomato sauce, chilli sauce, red chutney, and green tomato chutney, among other goodies that have been keeping me busy. But first…the garden. Beans. 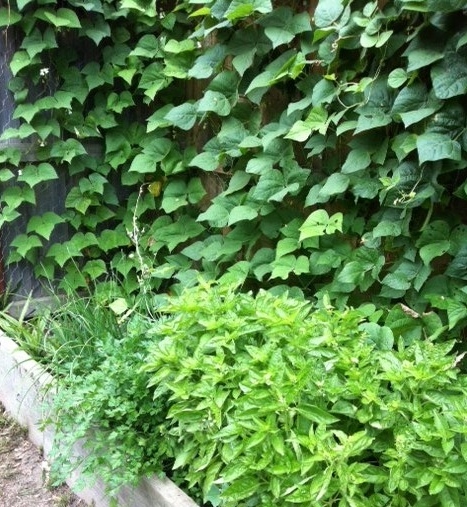 Climbing beans were one of the first vegetables I tried growing at home. After an aversion from being fed too many as a child, I quite like them these days. Mostly. This year I chose a different position in the garden, and while they’re growing and producing really well, they’re just not as sweet as previous years. Bummer. My chickens like them though! Celery. Yeah, I’m one of those weird people who actually enjoys drinking celery juice. So this year, fed up with buying them every single week, I grew them against the advice that they’re kinda difficult to have in the garden. All lies. Don’t believe it. Celery is easy-peasy. 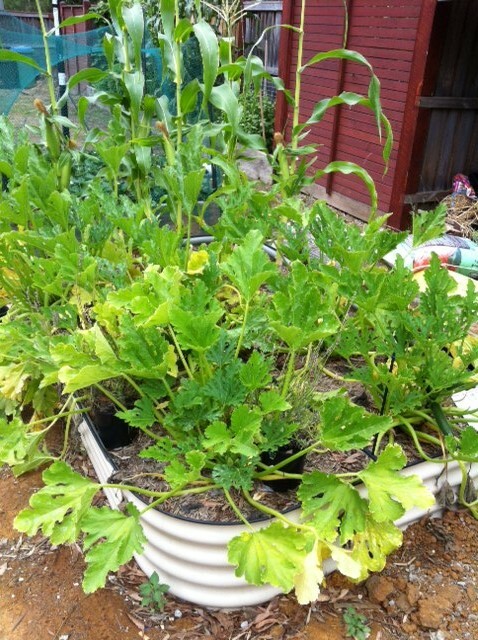 I didn’t blanch them (where you try to keep the stems white by growing the plant in troughs, or cover the lower part with pipe or newspaper)—I just stuck them in the ground, watered and fed them, and watched them grow. Very nicely, thank you! Besides juicing, I’ve been drying both celery and celery leaves in my dehydrator. 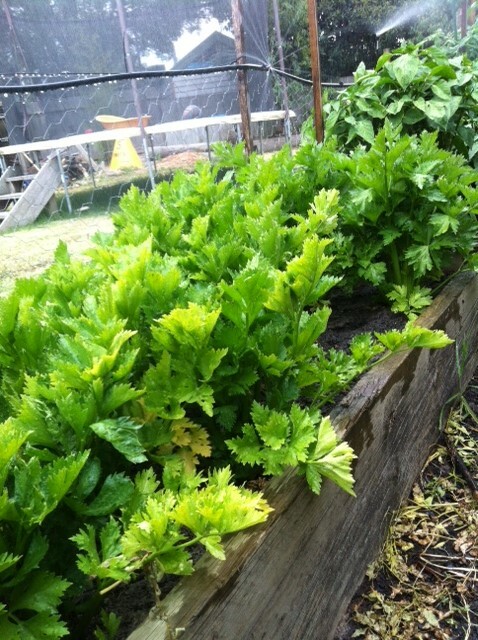 Who says celery is hard to grow? 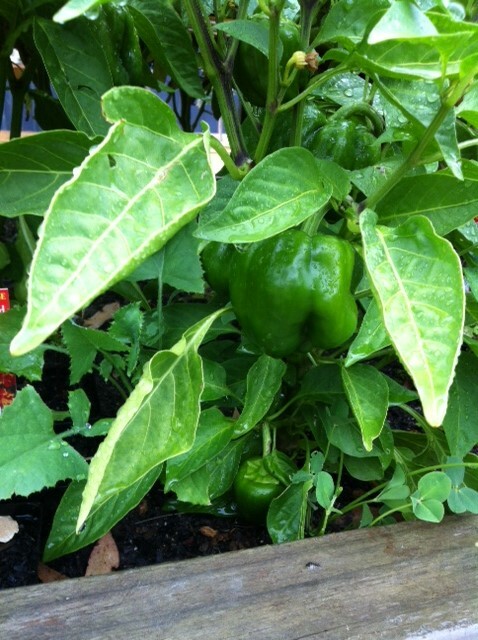 Capsicum. Known, I believe, as peppers in other parts of the world. 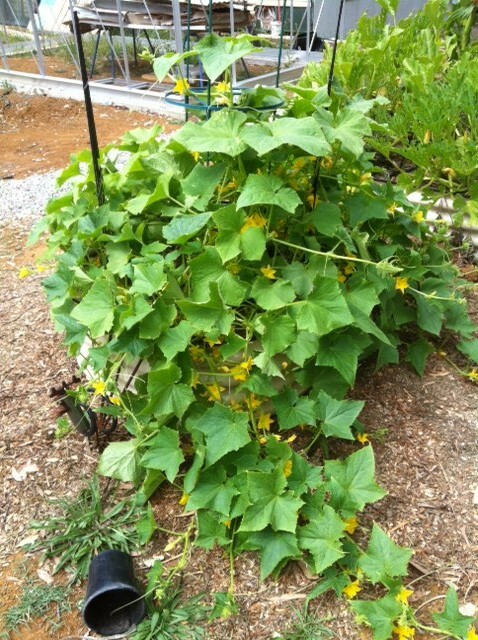 This is another vegetable we’ve grown before, but never in big numbers. Last year, I made a totally yummo red tomato chutney, and the secret ingredients in that were red capsicums and pickled gherkins. I’m serious! The capsicums are growing well, though not many have made it to the red stage yet as we’ve been picking and eating them green. Sooo sweet! Even Mr 6 Year Old Fussy Pants is stealing them to eat raw. Gherkins. So, yeah, speaking of needing pickled gherkins for my tomato chutney, I thought it would be a good idea (hahaha) to grow and pickle them myself. The packet of seeds I bought only contained 25 seeds and, because I’d left it really late in the season, I decided to plant them all, guessing only half or less would actually germinate. Yeah. Wrong again, Mandy. I now have twenty-five gherkin plants fighting for space in a very small bed, growing up and out and climbing (ie. strangling) everything they get near. Both the plants and fruit are super-prickly, which makes it hard to get near without gloves. However – my gherkins have been producing so many flowers (and then gherkins) that the bees are flocking. Swarming. Both. This makes my allergic middle child a bit nervous, but the rest of my garden very, very happy. Gherkins need picking every day, so they are a bit time consuming, but the pickling side of things is pretty easy once you’ve done it a couple of times. I have dozens of jars in the pantry, pickling away, but will wait a couple of weeks for the taste-test before posting the recipes.